Can Guinea Pigs Eat Dry Cat Food? Dry Cat food (8–10% moisture) is generally made by extrusion cooking under high heat and pressure. Fat may then be sprayed on the food to increase palatability, and other minor ingredients, such as heat-sensitive vitamins, which would be destroyed in the extrusion process, may be added. Yes, if they manage to get a nibble of dry cat food they will be fine. It won’t do them any harm. However, it shouldn’t be fed purposely to them. 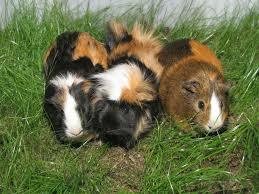 It holds no nutritional benefit for them at all and is not recommended to be fed to guinea pigs.